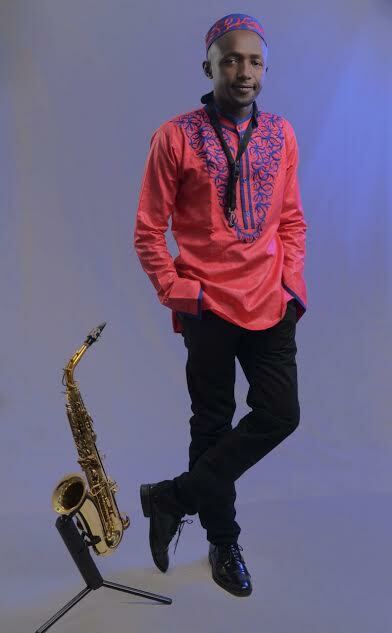 I am still thrilled to have one of the most flamboyant sax sounds in Kenya speak a bit about himself, and the great project he is currently undertaking with Afrosync. 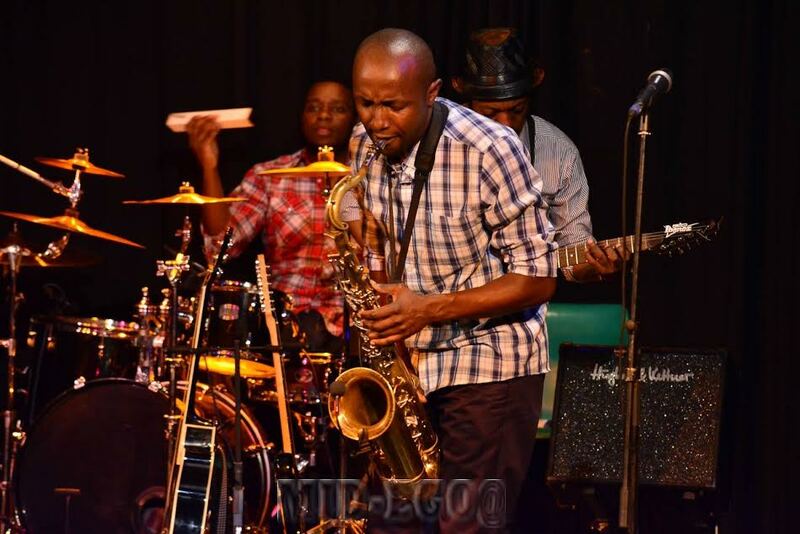 If Tim Riungu had the African Tom Tom drums to beat his own drum, he would be playing it successively for over two decades of his career. He is a consummate professional who has a sincere love of his music profession and a complete dedication and passion for his prodigious craft. 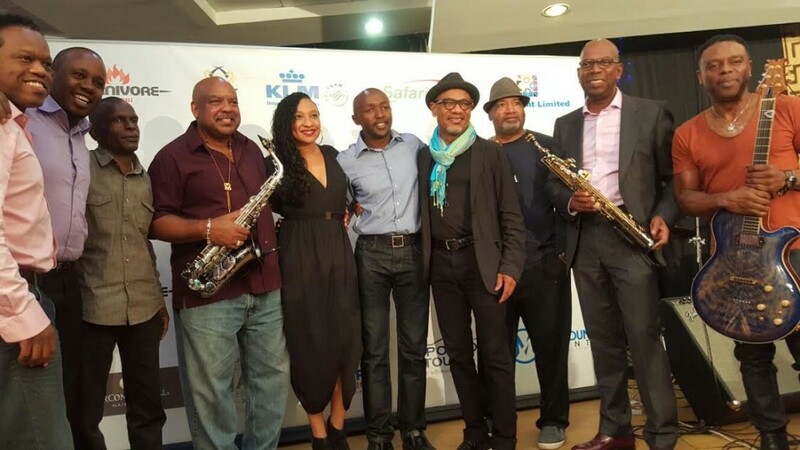 He has continually been able to achieve notable and impressive success with the band he plays for Afrosync and those whom he collaborates with. I recently had the great opportunity and privilege of interviewing Tim Riungu as I carpooled on a 4 hour ride within the city as he ran his many errands. Q: It is said that people who are in music age gracefully. How old are you? Q: Most of your performances you never miss to have the hat on, Describe your fashion choice sense to us? A: Indeed only a novice will presume that to be a fact of jazz life. The legendary groups of Oscar Peterson, Wes Montgomery, Themba Mkhize, Miles Davis, Hugh Masekela, Django Reinhardt and Keiko Matsui, to name a few, have put out some of the finest examples of jazz music without a trace of the saxophone anywhere near. Similarly, the saxophone has been successfully employed in non-jazz settings such as rock, classical and marching bands. Q: In simple language explain the role of a saxophone in any ideal musical band set up? A: The sax is a single-reed woodwind instrument. In an ensemble setting it can take the lead role or a supporting role. Either way it is best deployed in ways that complement the other instrumental/vocal timbres present. This means it can play a backing role by adjusting its volume and choice of notes to allow another instrument or vocalist to dominate or it can take centre stage and lead, even if only for a short solo. 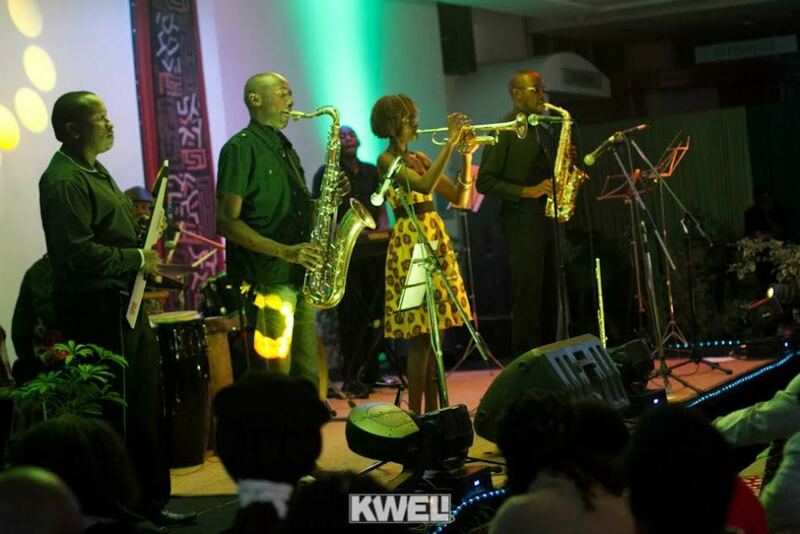 Then again the saxophone partners well with the edgy timbre of the trumpet, and the trumpet-trombone-saxophone combination is a proven formula in many musical settings: reggae, Afro, rock, pop and, of course, jazz. Q: You have shared stage with many notable musicians in your music career. How has it been sharing stage with inimitable musicians such as Branford Marsalis, Gerald Albright. A: Those experiences have been other-worldly in that these are artists I’d only had one-sided relationships with. Then suddenly we’re on first-name basis: Gerald is explaining why he changed from playing Selmer horns to Cannonball (he has a custom series named after him) and Mwalimu Branford (he’s a sax professor BTW) is regaling with tales of the time he coached Wesley Snipes on how to mime playing the sax on the movie Mo’ Better Blues. Onstage its always a lesson in being a performer, offstage its always a lesson in being a human being. Q: Does sharing stage with such musical legends affect how you will perform? Do change or compose new music if you will share stage with notable musicians? A: Any interaction with somebody who has blazed a trail that you desire to conquer is always an inspiration. Finding oneself at that level brings home the reality of “dreams are valid”, but at a price: preparation, perspiration. My colleagues and I always come out of such experiences inspired and challenged. A: Oh yes I do, not very frequently but definitely randomly. When they do occur it is usually in relation with whoever I’m performing with; this could be a guest star I’d never worked with before, but it has also simply been with my regular bandmates, guys who I gig with a few times in a week. In the midst of a grooving jam it hits me that I have a front row position to watch some of the best vocalists/bassists/keyboardists/drummers/horn players in their element and be part of it, not just a spectator. Q: How did you decide to you want to play the saxophone, or how did the saxophone find you? A: I landed on the sax by happy accident. Back in high school, our music teacher retired and went to run a private music school. Meanwhile, in school the rumor spread that us boys could get free lessons because we were like sons to her. So I showed up for the freebie. I didn’t even have any instrument in mind! I already played the trombone, I knew I was not interested in the trumpet, piano, guitar or violin, and so was pleasantly shocked to discover they offered saxophone lessons. They even had an instrument in the next room, complete with a then-17-year old Hellon to get me started! I signed up, did three classes then got slapped with a bill. Apparently the “free-lesson” rumors were not true. By then I was hooked, so I paid up and have kept learning since then. Q: The most embarrassing moment on stage, how did you save yourself from the moment? A: While visiting a church in South Africa, they had a top jazz pianist from Durban, Mr Melvin Peters, and I was invited to jam with him. I leaped at the chance, got out my horn and prepared for a milestone performance. And then one of the keys lost its pad. It popped out and clattered down. On stage. Meaning I lost most of the instrument’s capabilities. I bravely weathered the whole song by playing just the one note that fit in that key. Needless to say, the great Melvin Peters did not offer me a spot in his band. Ah, well. Q: Not so many musicians manage to bring both creative side and the business side together. What’s your opinion on this? A: It’s a sad but true state of affairs. I believe this because the creative and business sides of entertainment call for very different skill sets and mindsets. Not that many musicians naturally have both and most of the ones that do have had to cultivate it. However there are musicians that have developed successful relationships with dedicated business managers, with results that are mutually-beneficial. This frees up the creative to create and focus on delivering a better artistic product. In Kenya, arts administration is a big, wide opportunity for people with the relevant business skills and appreciation for the artist’s potential. Q: You have been notably hiding yourself by providing the necessary support with your saxophone. Have you ever thought of doing it solo? Have you ever gone solo? 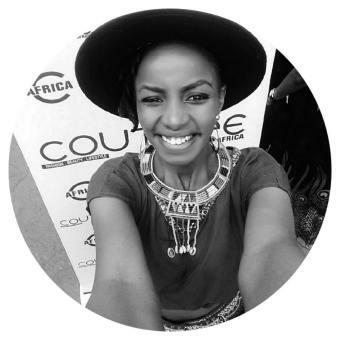 Q: Afrosync has quickly resurged from a quiet hiatus, what is new with Afrosync. Any new project scheduled moving forward? A: Afrosync took a break at the start of 2017 to reflect on our journey thus far. We have had to make some tough decisions which saw us part ways with one of the founder members. We have since reshaped our focus to developing on our songwriting and signature sound. During the International Jazz Day event of April 30th we presented a set that was entirely our original compositions, unlike in the past when we have included covers of standards. This is our 2017 mission. Q: Fela Kuti or Manu Dibango? A: Manu Dibango. Fela is the firebrand, Manu is the Quietstorm. That’s me. A: I currently play a Selmer Super Balanced Action (SBA) professional tenor sax. It’s a vintage French-made instrument, having been built in 1949, just before the legendary Selmer Mark VI of 1954 onwards. It has a beautiful sound when paired with my Berg Larsen metal mouthpiece, although I’m continually exploring other pairings. 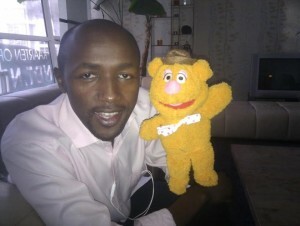 My superstar sax technician George Njoroge of Kijabe found it on his travels. It was in pieces and he rebuilt it meticulously in 2015, sourcing parts from the US and the UK. He has a lot of experience in maintenance and refurbishment of various musical instruments, having honed his craft in his years at the Rift Valley Academy. I also own a Boosey & Hawkes “La Fleur” alto sax that was my first ever sax, from 1993. Others have come and gone but it remains in semi-retirement. 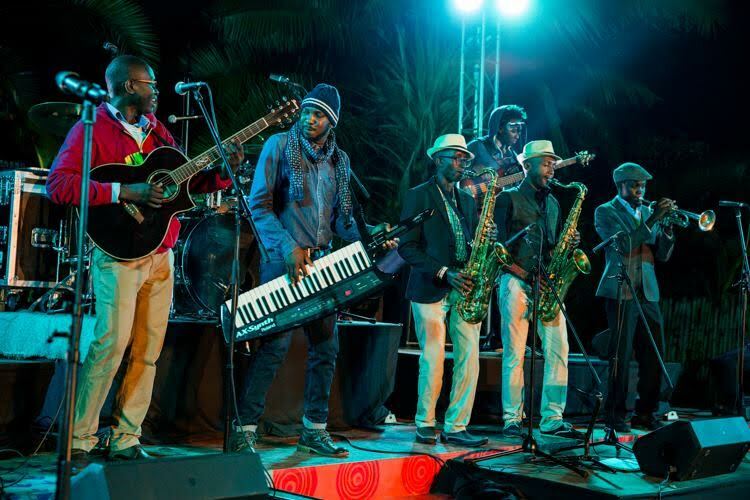 I can be found performing with the AfroSync Band at Dusit D2 Hotel (Wednesdays), Hotel Intercontinental (Fridays) and at the K1 Flea Market (Sundays). If Tim had a Instagram account this would be the kind of images posted.